As advancing technology continues to transform the medical landscape, here are four trends poised to make a major impact. 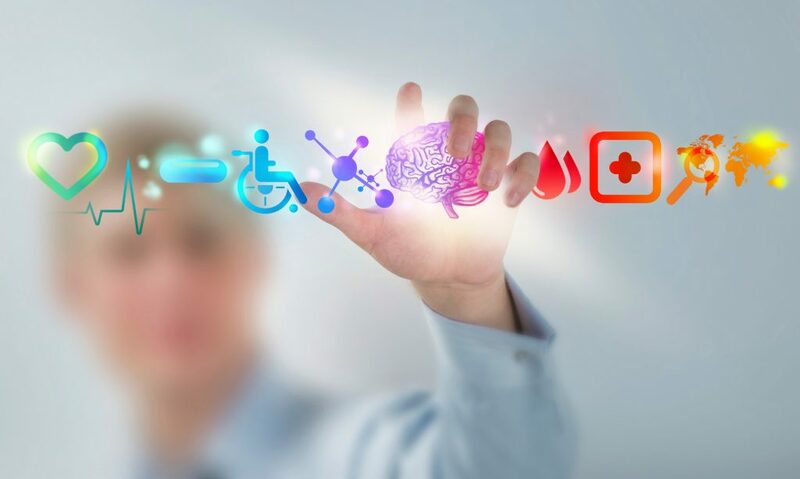 In recent years, big data and increasingly sophisticated analytics systems have opened up new opportunities for medical marketers across the industry. But this is just the beginning; as the tech revolution continues full steam ahead, healthcare professionals must adapt their strategies and practices accordingly, or risk being left behind in the digital dust. Here are four emerging trends that are poised to change the healthcare industry forever. Not long ago, the knowledge gathering stage of the patient path to treatment consisted of discussions with friends and family or simply consulting with a doctor. No longer: 43% of consumers now claim they turn to the internet as a primary source of health-related information. What’s more, the volume of online health queries has consistently risen at a rate of roughly 7% year-over-year. Aiming to provide a more accurate and intuitive means of internet-based self-diagnosis, Google’s Symptom Search platform allows users to enter their symptoms, and links them to related conditions, potential causes, and possible treatment options. Google’s blog claims that the service will help users “quickly get to the point where [they] can do more in-depth research on the web or talk to a health professional.” By helping to educate patients while avoiding alarmist diagnoses, symptom search empowers patients — and it can even save lives. Capitalizing on the internet’s growing role in the patient journey, keyword targeting enables marketers to reach patients who are actively searching for treatment options and are therefore more likely to convert. 75% of consumers want highly personalized ad experiences, and such ads typically generate 10x as many clicks than less targeted campaigns. As has been the case across many industries over the past decade, data-keeping systems have increasingly moved online, such that crucial information can be accessed from anywhere. Where once a physician may have had to search through paper files for pertinent patient information, recent tech innovations now allow doctors to access this information and relay it to patients or colleagues while away from the office. DrFirst, a pioneer of such technology, rolled out Backline — their secure messaging software — to facilitate doctors’ sharing of confidential information with colleagues and patients. Since patient data is subject to HIPAA, HiTech Act, and Joint Commission regulations, a secure system like Backline is necessary to streamline communication while maintaining regulatory compliance. Another example is Maven Clinic, a women’s health clinic housed entirely online. Maven is an entirely new model for the medical industry: patients post their concerns on a forum; a doctor reads the post and responds with information and next steps; all appointments are held over video-chat, and all prescriptions are made without the doctor and patient ever meeting in person. Maven Clinic’s style is not for everyone, but its success demonstrates just far tech innovation can go. As the website states, “We created the type of health care we wish existed,” and this is an attitude all medical professionals should hold. As technology becomes increasingly sophisticated, it may not be long before we’re undergoing our annual exams from the comfort of our living rooms.